I don’t think I’ve made any secret of the fact that I am a huge Harry Potter fan. 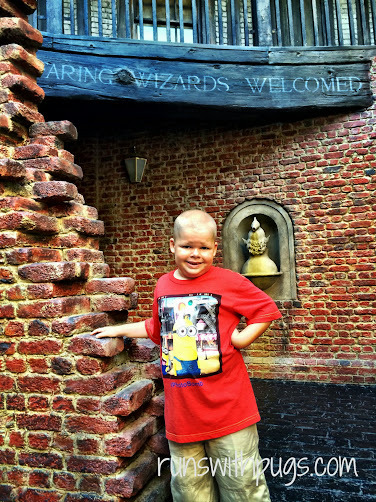 It’s even more fabulous that little man has discovered the magic of Hogwarts and is following along in my footsteps! (Mr PugRunner has yet to fully embrace the glory of Gryffindor, but we are working on it). Of course, paying a visit to the all-new Diagon Alley at Universal Studios was a natural next step. Even though we are annual pass holders, I really couldn’t fathom going during opening week, due to the predicted crowds on top of regular summer visitors, but I kept looking for an opportunity to go. That opportunity came when a good friend told me she would be visiting the area with her family. I instantly said I would make the drive and meet her. I loaded little man in the car before the sun was even thinking about rising, and cheerfully drove the distance. We arrived right after 8:00 AM, got great parking, and were permitted to enter the park at about 8:15. Since we were not guests of any of the four Universal hotels, we were not entitled to early entrance to Diagon Alley, but we were all herded off to the right of the main walkway to wait in a long, winding line. It wasn’t awful, especially when the employees moved the line a bit to make sure we had a little more shade. Little man was getting a bit impatient (after all, we were kind of on a line to wait on line), and our friends were already touring the park (since they were hotel guests), but we chatted and enjoyed the semi-peace, until things finally started moving. I didn’t really have a clear plan. I know I just wanted to soak up the atmosphere of Diagon Alley. We had no intention of going on Harry Potter and the Escape From Gringotts (I don’t do well on simulator rides, and regardless the wait was rumored to be at about three hours, even before the official park open), but I was hoping we would be able to easily ride the Hogwarts Express over to the Wizarding World of Harry Potter in Islands of Adventure, and back again. Finally, finally, we were moving with purpose and we entered the Diagon Alley section of the park right by Grimauld Place. It felt so real. It was even chilly. I don’t know how they managed it, with so many people and in the open air of the inland Florida summer, but there was a definite coolness to the air. The feeling was… well… magical. We lingered for a minute before winding our way to King’s Cross station. Staff are stationed at the entrance of King’s Cross to scan tickets. 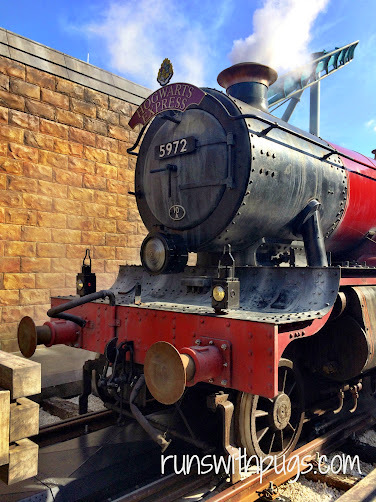 In order to board and ride Hogwarts Express, guests must have an annual pass or other park-to-park ticket. On the one hand, it’s a great way to limit crowds, but on the other, it’s unfortunate for those who only have single park admission, since they aren’t able to admire the queue or the ride. At that point of the day, the queue was pretty much empty, and little man charged through. I would have liked to linger a bit, especially at the entrance point to Platform 9 3/4, but that will have to wait for another day. I will say that the station was decorated very much like one would imagine a wizard-based train station would be, with trunks and owl cages and the like. And then, there it was. Hogwarts Express, scarlet and smoking, just as one would imagine it. We were shown to our compartment in one of the train cars. They were pretty much replicas of what one sees in the movies. Each compartment seemed to have room to seat 6-8 guests, on upholstered benches, facing each other. There was a window to the “outside” and a compartment door, that closed before departure, made of frosted glass. The ride was pretty cool. Rather than seeing outside the train, a “movie” of sorts scrolled by the exterior window, to replicate the journey through London, then the countryside, and finally on to Hogsmeade station. Shadows of characters appeared on the compartment door, with accompanying audio to make it seem like Harry Potter and his friends were actually walking up and down the narrow corridor outside. 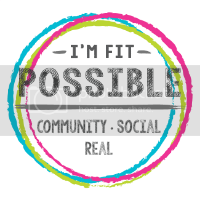 While it wasn’t the most exciting or technologically advanced ride, we thought it was well done and very enjoyable. At Hogsmeade, we exited the train, walked through a little bit of the “town” there to return to the entrance. 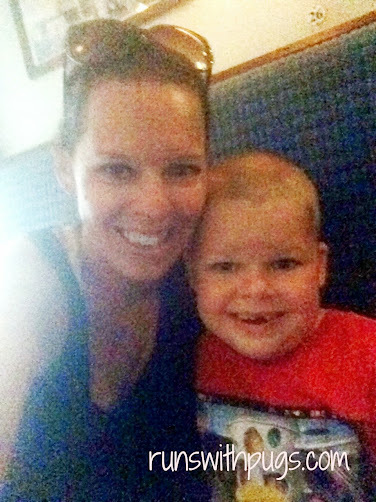 We scanned our tickets again and hopped in line for the return ride. It was different experience this time around – I’m not sure how many movie scenarios are shown, but at least two that we experienced). 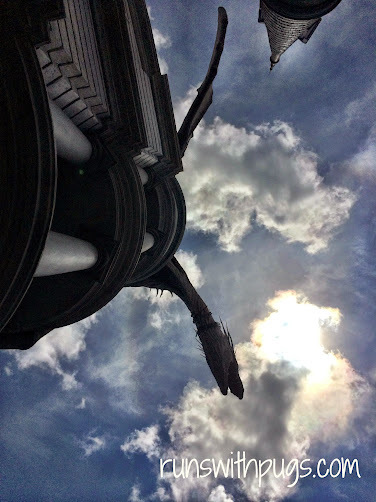 Upon our return to Diagon Alley, we really tried to take it all in. The streets were narrow and bustling, and the shops even more so. 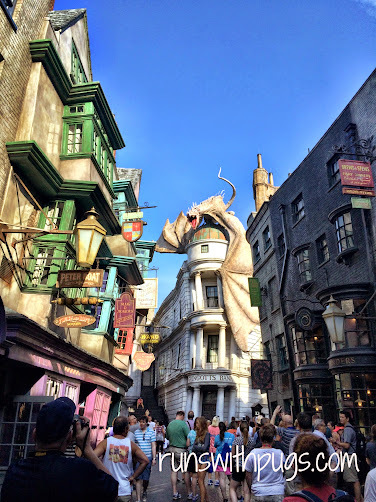 It was so authentic, in a way, because the Diagon Alley of JK Rowling’s invention was certainly not any kind of traffic-friendly collection of mega-souvenir stores. It was hard to really browse because of crowds, but the Weasley’s joke shop was definitely stocked with jokes and pranks, the Quidditch supply store had broomsticks, jerseys and Quidditch balls, and Madame Malkin’s sold beautiful quality Hogwarts robes. We didn’t get to try any of the dining establishments (next time!!!) and I also didn’t see any butter beer for sale on the streets (it was so hot that a frozen butter beer would have been just the thing), but we did get little man a water from an outside vendor. 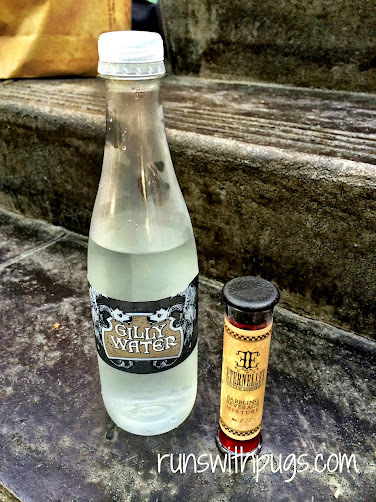 It was just regular bottled water, labeled “Gilly Water.” You could have it plain, or purchase one of four different “elixirs” to mix in with it. Because what’s a wizarding world without potions, you know? It was a fun concept. We explored more. 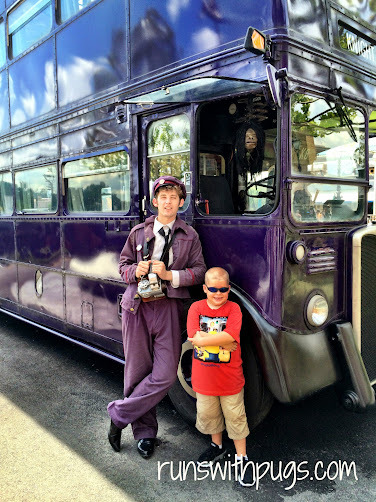 Little man had a conversation with Stan Shunpike at the Knight’s Bus. The shrunken head participates, quite relevantly, in the conversation, which makes this a pretty ingenious interactive experience. 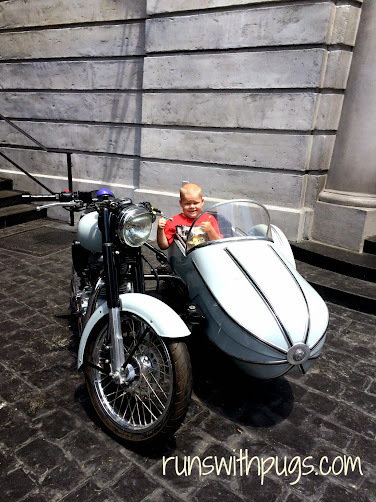 He also rode in the motorbike that Sirius Black loaned to Hagrid. Just a warning: the wait for this photo opp is pretty much directly under this guy. This guy? Breathes fire. You can definitely hear it coming, but we just weren’t expecting it to be quite so loud, so hot or so close. Do with that information as you will. There was definitely more to see, but we also wanted to spend time with our friends, so it was back to the Muggle world to hang out. Woody Woodpecker’s Nuthouse Coaster, and Fievel’s Playland. I even got little man on E.T. Adventure for the first time, and we got to ride Men In Black: Alien Attack, which he has declared one of his favorites. Unfortunately, the lines for Depsicable Me Minion Mayhem and Transformers: The Ride 3D were ridiculously long, and we had to get on the road for a quick stop at IKEA before heading home, so we had to pass them up this time. 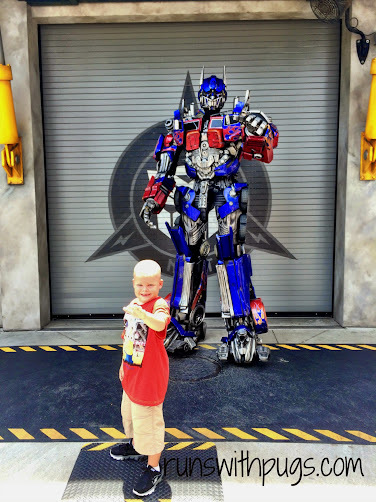 As a consolation gift, we did wait on a very hot and slow-moving line so that little man could meet Optimus Prime. We are planning to return to Universal when the weather cools down and the crowds are greatly reduced for a weekend, so we can really take our time and explore all there is to offer. There is just so much to see and do, and not enough hours in a day trip to get it all done. Have you been to Diagon Alley or Hogsmeade, yet? 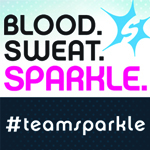 This past January, I went to Disney for Marathon Weekend (I ran the half with my sister). We took Amtrak down there, stayed in a Disney park, and, because of that, never ventured off the Disney campus. Which meant that we never got to Universal with the Harry Potter attractions (we considered it, but the cost would have been well in excess of $100/person who wanted to do it, while everything in Disney was already paid for, and, therefore, in our head, free). Next time, though (tentatively the Princess Half Marathon Weekend of 2016), I’m planning on driving down (I’m cheap to a fault), and with a car there, well, costs go down considerably. If we can pack lunches & make simple dinners, we won’t need a meal plan . . . when you combine that with not needing a cab to get to Universal, along with kids who will be far more of an age to take it all in, I think we’ll hit on the perfect storm. Fantastic! It’s definitely worth it to make the drive. You are going to LOVE it. I went in June right before Diagon Alley opened. I am not a Harry Potter fan, but my friend is so she was bummed that it wasn’t opened yet. She did love the Wizarding World of Harry Potter. 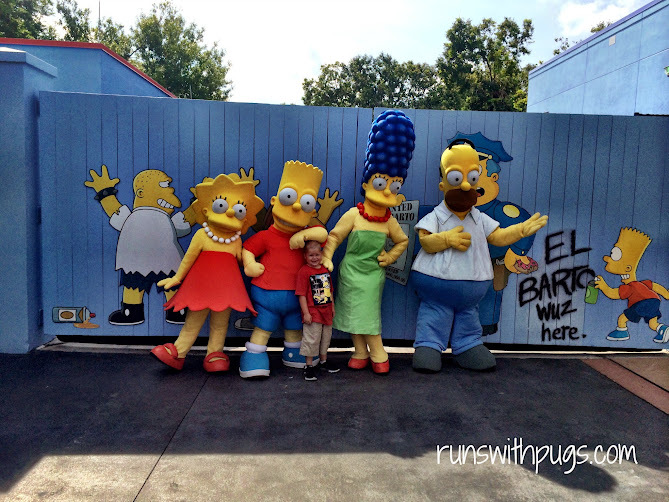 I am envious you met The Simpsons family. I only found Lisa, Sideshow Bob, and Krusty when I was there. My goal is to find all of them next time I go. I love The Simpsons. It was so neat! We were standing by the KwikEMart and they just appeared from a door by that wall. We were first or second in line. King’s Cross looks just like the real King’s Cross in London! I would LOVE to go to HP World, but i’m poor and can’t deal with the crowds. Attention to detail was amazing! 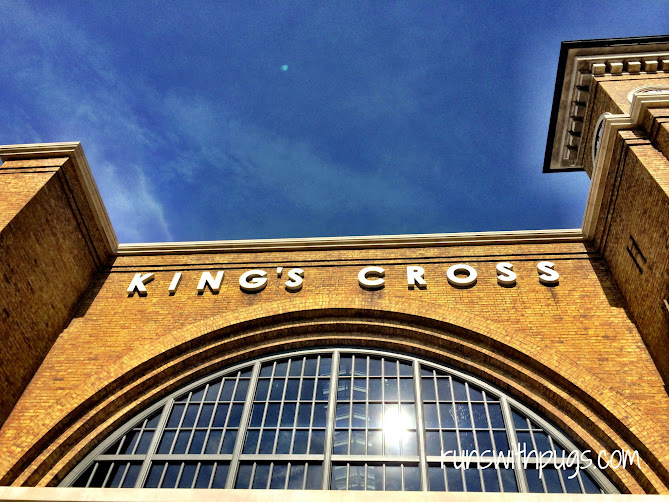 Their rendering of King’s Cross was absolutely incredible – they even had street musicians inside! Amazing! I NEED to go to Hogwarts NOW. 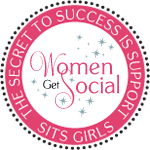 Thank you so much for sharing!!! My son is a huge HP fan and is dying to see this! I have to admit even though I have big-attraction anxiety it does look pretty darned cool. I am such a Harry Potter nerd, I would LOVE this!